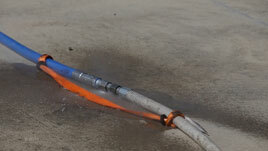 The complete recommendations of WJTA's safety committees for waterjet and industrial vacuum are contained in the association's Orange Book and Blue Book manuals and accompanying videos. WJTA's manuals are the primary reference for waterjetting and vacuum operations throughout North America and other parts of the world. Incident reports and safety topics to share with your team. Help keep the industry safe by reporting your incidents or near misses. 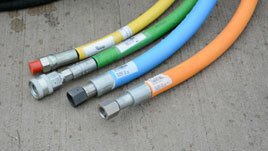 WJTA color coding scheme for high pressure hoses.